[Tutorial] How To Make A Coldboot. Thread: [Tutorial] How To Make A Coldboot. #1 [Tutorial] How To Make A Coldboot. Well guys and girls after a bit of work and many requests it is finally here.My Coldboot Tutorial. Now before we get stated I would like to clear some things up.The first is that this is NOT a request thread but a tutorial so if you want one made..make it yourself...I will be glad to help you along the way but will not make it for you...ok? Second is for those of you who may be asking what's a Coldboot?A Coldboot is the combination of the text and the sound you see when you turn your PSP on.It is not a Video and for those that think it is,what your thinking of is called a CIntro and that is not what this thread is about.Now if you are looking for a guide on making a gameboot/CIntro..look here. In this next part I'm going to explain how to obtain the 2 files you will be needing to make a coldboot(which are opening_plugin.rco and opening_plugin.prx).These files will be included as part of the tools you will be needing but I'm including this for future firmware versions as I do not know if I will be updating the thread. So you can either read now or skip till later..really doesn't matter. *NOTE:If you receive an error(This program requires 2.71 or higher) switch your kernel in Recovery Mode to a higher kernel or place the new_psardumper folder in GAME371,GAME380,GAME390,GAME4XX, or GAME5XX depending on your firmware. The option outlined in red(Press square to decrypt all.) is the one we want so press square and let it run. When it is finished you will see a new folder on your MemStick with the name F0.This is a dump of the 5.00 Firmware(Or whichever you chose to use). TimeMachine,LEDA,ELoader.I may be wrong on this so if anyone knows..please feel free to let me know. As for more recent Firmwares like 5.50 GEN-D3(I was on 5.00 M33-6 w/ 1.50 Kernel Addon at time of writing) since it does not have a 1.50 Kernel Addon,Resurssiklunssi, cannot be ran on it,best bet for any model is to use TM or find them on Google. What we want to do is select is the option outlined in red once again (CROSS: Convert all RCO's from ms0:/rco/)..so when ready press X and let it run.Once it is finished you will now have an rco in ms0:/rco/done/ that can be customized in RCO editor. With that out of the way we are going to move onto the Text part of your Coldboot. Screen 1:You will either load up an RCO you wish to change or select one of the firmware options(Firmware 5.00 or Firmware 4.01 or older). Screen 2:In this tab you will pick color,text,size and font that you wish to use...once it looks the way you want it too..select save and place the resulting RCO in F0/vsh/resource...simple huh. Then select the image you would like to use(480x272 .BMP works great) and then save..and voila..your done and have a full screen coldboot. Screen 4:Gameboot Delay which I think is pretty self explanatory..if not what it does is change how long a gameboot.pmf can be..so instead of the original 2.5 seconds you can make it..idk...8 seconds long. Then hit Ok and you will see a new work area pop up with a checkerboard like pattern on it. Now when you are satisfied with the look of it right click and select Image>Autocrop Image.You will notice that your image's resolution has changed and become smaller then before...don't worry that's what we want to happen. The [GIM] tex_logo is the coldboot text ([GIM] tex_psp_logo is the gameboot logo for those that want to know to remover replace it with [GIM] tex_psp_logo.png) so click replace,locate the PNG of your text and press Enter and you will see it show up where the Sony Computer Entertainment Logo was. Now if it does not show up right(I.E. you see a white box) it means that the color depth of the PNG was too much for the RCO to handle..but we have something that can fix this.Look for the PNGforPTF folder in the RCO Editor Folder.Now this program converts 24-bit PNGs into 256 color 8-bit PNGs...which RCO Editor can handle...you may notice a slight loss in resolution but nothing that will be too big. All you do is load the app and find your PNG then hit convert.Then load it into the RCO and test it out.Now remember an RCO does have it's limitations and will not handle everything that you throw into them. See not too hard to do the text..now unfortunately we move on to the hardest part...the sound. I say hardest because if a new version of BSR(BootSoundReplacer) is not released yet when a new CFW arrives...you will have to HEX the sound in..
Last edited by DarkFoxSniper; 03-02-2011 at 01:32 PM. First thing we need to do is to install an audio codec(Sony ATRAC3 (Included)) for use with GoldWave. To do this first uncompress the files from ATRAC3.rar(Coldboot Tutorial/Files/ATRAC3.rar) archive, right-click on the atrac3.inf file and select Install. You may encounter a prompt saying: "The software you are installing for this hardware... has not passed Windows Logo testing.." click on the Continue Anyway button. Now what you name your files does not matter(As long as you keep the .WAV extension) but the thing that does matter is the Attribute.You MUST make sure that ONE of the ATRAC3 attributes is selected(ATRAC3 66kbps STEREO,ATRAC3 105kbps STEREO,or ATRAC3 132kbps STEREO)132kbps is what I normally choose as it gives the best quality sound. Screen 1:This is the screen we want to use..it injects the sound we just made into the opening_plugin.prx...more bleow. Screen 2:Converts a PRX from one Firmware to another..duh.. While in screen 1 first thing we do is select our firmware.The hit Browse and find your WAV and hit open.Then when opened all you do is click save PRX..not too hard huh? Now the daunting task of doing the sound when no BSR has the option for your firmware..
Ok so lets just say that tomorrow Dark_AleX or GEN released a new Custom Firmware(Lets just say 7.00 M33 or 7.00 GEN) and you wanted to make a bootsound?If you notice BSR does NOT have an option for it...what will we do? ?Well first we would follow Method 1(Above) and get a PRX that has a sound injected into it.Then what we will do is open the opening_plugin.prx(I will be using 5.00_opening_plugin.prx for the tutorial) in a HEX Editor(I will be using HEXWorkShop).You can use any editor as long as it can Copy and Paste.So when opened you will see a screen with a lot of random information.What we want to do is look for the following things. WAVEfmt 4 and further down(Almost at the bottom) ...thread. Last edited by DarkFoxSniper; 05-27-2010 at 03:02 PM. Q1:Can this brick my PSP? A1:The potential of a Coldboot bricking your PSP is very slim.If you do brick it is because YOU have either flashed an RCO(This is highly unlikely to brick but lower Firmware's(Those under 5.00) can't take the RCO from 5.00+) or a PRX(These ARE Firmware Specific) from a different Firmware. Q2:Can I use these on my 2000 or my 3000? A2:It's kind of a yes and a no answer.A 2000 series PSP with a TA-088V2 or lower can use a flashed coldboot.Now if you have the TA-088V3 I HIGHLY suggest you do NOT write ANY files to your Flash 0.To counteract this for the two your shouldn't write to the flash I've included(WIP) a section for creating a CTF for CXMB.The same is true for ALL 3000 owners.Now there are multiple thread on finding which motherboard you have(Conveniently there is one in my sig).So please if you are unsure follow one of the guides to find out. Q3:The ATRAC3 Attribute options in GoldWave are not there..how can I get them to show up? 2:Find the "atrac3.acm" file in the included download and copy it to "C:\Program Files\GoldWave\File"(Or where ever you installed GoldWave).Now you need to change the "atrac3.acm" file extension to .dll so that it is now "atrac3.dll". Last edited by DarkFoxSniper; 07-11-2011 at 12:24 PM. From all that I've posted so far you CAN make a working Coldboot...so when someone does..let me know how it goes. Right on DFS. Ty Much!! 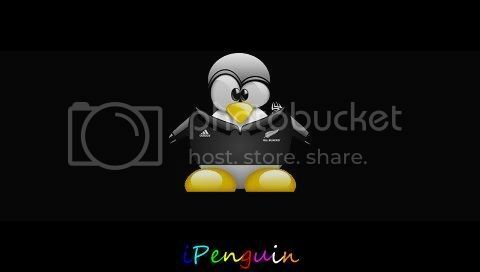 Last edited by iPenguin; 04-30-2009 at 06:08 AM. Did you select your firmware on the 1st screen?Was it a BMP that you loaded or a jpg? Try saving it as a 24 bit BMP. can someone make a a coldboot?